So without further ado, here is the eighth post in my series of favourite pole fitness, health and nutrition articles I read this month! #1) What Are Your Goals For The New Year? If you're stuck for ideas of what to focus on in the new year you'll love the article in this month's number one spot! Peach Lee Ray shares fifteen of the top New Year's Resolutions for pole dancers along with some handy tips for each one. Once you have some resolutions in mind don't forget to head over to my article to find out why you need to break them down into 12 weekly targets! You'll get more done in twelve weeks than most people manage in one year with my secret sauce for goal setting! #2) Eat The Turkey, Don't Be The Turkey! If you're anything like me you'll have definitely cooked way too much food and probably put yourself into a food coma over the last week. Check out how much food we had at our Christmas dinner after all of our guests brought an extra one or two dishes each on top of all the food we prepared for them! Just trying a little bit of each dish wiped me out, but I wanted to keep on eating... We've all been there don't judge me! Here's some exclusive rare footage of me and my other pole girls who were there after the meal. Seriously though, Neo was here to save the day over Christmas! Although it might be too late for you if you missed this awesome advice, she reminds us it's not so bad to eat drink and be merry but don't stop working out in the process! 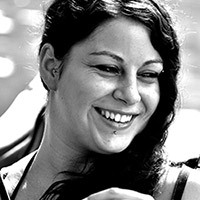 Following on a similar wavelength this month was Paige over on the Bad Kitty blog. She's giving us a reminder not to go over the top with the food and some helpful hints on how to stick to healthy habits over Christmas without being too strict on yourself. You've still got to have fun after all! The festive season wouldn't be festive at all without a party or two, and it's no different for your pole fam! That's why Holly at Pole Freaks shared 5 of her favourite games for pole parties this month, and if you need a little inspiration I shared my favourite pole party games too! These games are great any time of the year so if you're having a birthday party or New Year's Celebration don't forget to check back for fun ideas! 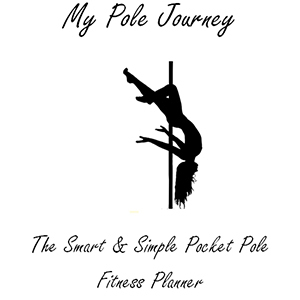 Before we move on from the festive theme, I also wrote this article for you to share with friends and family to give them great gift ideas that any pole dancer will love! It's great for birthdays, Christmas or any special occasion to give your loved ones a hint or help you to think of Secret Santa ideas for your pole buddies. Please read with caution, I literally want everything in here! #6) Trouble Slipping & Sliding Off The Pole? In this funky article by Kathleen over on Cleo's Rockin' Reads you'll learn three ways to combat your problems with slipping. She goes over some grip aids that are effective, clothes suitable for pole and even delves into how botox can help your hyperhydrosis! #7) Too Shy To Go To A Pole Class? If you're too shy to take the first step to starting pole classes for any reason, you'll love this article by Molly over at Greatist. Inside you'll find nine strength exercises you can practise at home to build up to trying a class. Demos of each of the nine exercises are done by Roz The Diva! This post on Neghar Fonooni's blog really caught my eye because of the title, 'Muscles Are So (Not) Scary'. As pole dancers it's so common for us to gain big upper body muscles, and I wanted to see what Neghar had to say. 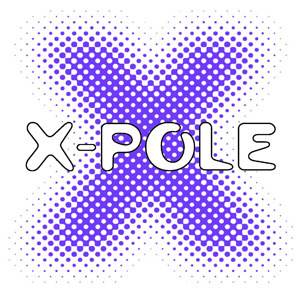 I haven't always been a fan of big muscles for myself, but I didn't have much choice when my shoulders started to burst through my tiny clothes thanks to pole. Turns out though, that this article is actually about two women who are overheard describing muscles as scary. She talks about whether these girls are really afraid of muscles or just being outright negative about other people's body choices. She wraps things up by reminding readers to embrace and encourage each other positively! I'm going to change things up a little bit this month, these Energetiks tips come in the form of a YouTube video, instead of a blog post! It has some super helpful stretches for ballet dancers that can cross over to help you with your toe point, splits and back bending goals! #10) What Do You Really Want To Look Like? While we're on the theme of goal setting for New Year, this article by Jessi Kneeland is a great reminder to be realistic about your body goals. Throughout the article you'll also learn some interesting mental changes you need to make, to have a happy body you need a happy mind. That's why Jessi teaches us that if we love our bodies, they will love us back! Despite our cultural conditioning wiring us up to believe we have to be skinny, let's forget how we look and keep building up those muscles that allow us to do amazing things this year! In this weeks mums tips we have a great article by Nicole over at Breaking Muscle. You'll find six weeks worth of mummy and me workouts broken down over four days a week. These exercises are ideal for new mums on the go. That means that they're effective even with little feet running around and some you can even get your little ones involved with. Each day of the week has a different focus and combined they will help you build back up to your regular fitness routines. I chose this month's main course with the cold weather in mind, because although I'm still in the tropical heat of Costa Rica I know most of you aren't. This recipe is great if you're suffering from a seasonal cold, sore throats or sniffles, it's the 'Cold Buster' Chicken and Pasta Soup! I'll be keeping this one on stand by for my journey back to the UK, it looks delicious but it's far too hot for it here. It's going to keep me warm on my trip next month for sure! I've decided to keep the dessert nice and light this month as I'm sure you're all feeling stuffed enough with all the cake and chocolates over the festive season. That's why this month's tasty treat is high in protein and full of blueberries. They are a superfood if you didn't know! I'm going seasonal again with this one. After sharing some festive slightly healthier alcoholic drinks to enjoy over Christmas, I figured you'd be in need of something a little different by New Year. That's why in this recipe you'll find all the ingredients you need based on nutritional science, to mix yourself the perfect hangover cure! I like to thank you for writing all these wonderfull blogs on your website. They are truly an inspiration for me. As for my 2017 pole dance resolutios, I have given myself a real challenge. By the end of June 2017, I will be able to perform the Human Flag. At the moment I can hardly lift myself in this position. So I decided to train myself step by step. Besides my weekly pole dance class on Sunday, since 6 month ago I joined a socalled Personal Body Plan 4 times a week, in which I join a training program in a very trendy gym combined with advice about nutricion. I commited myself to become physical stronger, and after 6 month already see the first results. This program also made me aware of how important food is. At the start of 2017, I plan to concentrate more on the pole dance techniques. On the short term, I want to be able to perform the Butterfly and Superman properly, I am already very close to this traget. Then I want to concentrate more on moves such as the Deadlift and gain more strength in shoulder and arms. This all to ensure to be able to do the Huamn Flag. Anyway like I said, I have given myself a real challenge, and sometimes it is difiicult to stay motivated. However when having a very clear goal like mine, is keeping you concentrated. Its in fact just one move, but the road to this move if filled with obtacle and challenges. I wanted to share my short story with you. I already felt that within my pole dance commmunity people got inspired by my goal. It sounds like you have a solid training plan in place, human flag is a big goal! I would definitely add negative reps to your training plan if you haven’t already, that’s one of my go to techniques for strength building. I’ve been working on deadlift and Iron X myself, it takes a lot of dedication and perseverance but you will see big progress if you stick to it so keep up the hard work!